It is a great community to live in.submitted by Bryon . - Aug 05, 2013 |Recommended: YesIt is convenient to the highways and shopping, the residents are friendly and respectful, and the staff is very helpful. A blessing to me and my family. A precious gift from God!submitted by Sandra C. - Aug 03, 2013 |Recommended: Yesexoitic, peaceful, tropical living, friendly, reasonable, convenient. Unbelievable - very satisfied!submitted by Joy C. - Aug 03, 2013 |Recommended: YesWe just moved in today, but it has surpassed our expectations already! Peaceful, safe, friendly and I love my residence!submitted by Sandra C. - Jul 01, 2013 |Recommended: YesGive it a try. You will not regret it. Beautiful, convenient, safe, friendly and reasonable. Excellentsubmitted by Darryl R. - Jun 28, 2013 |Recommended: Yescool nice staff. Everything has been going well. A smooth transition. submitted by Sheridon J. - Jun 04, 2013 |Recommended: YesYES! Very nice place to livesubmitted by Demorris W. - Jun 03, 2013 |Recommended: YesI`ve been there 3 Months and I really enjoy the convenience, beauty, landscape and the design of the apartments. It's well worth the current price. Beautiful and great place to call Home. submitted by Patricia W. - Jun 01, 2013 |Recommended: YesIs these days and time when money is tight - You get more bang for you buck by choosing Greystone. It is situation in a community with every day conveniences . EASY access to all the major road ways , so no sitting at each light just trying to go across town. The staff team truly care and hear everything that is voice . They are not just a Staff Team but they become your friends and neighbors. The Apartment HOME are truly wonderful like other apartment complex when you feel like you live in dark dungeon and your outside grounds are parking lot. Greystone is Large and bright! The community offers sidewalks and park like scenery to stroll thru a truly beautiful a community that is an extension to your Apartment home. So definitely more bang for buck. Price is great !. 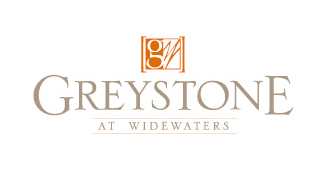 There is a real sense of community at Greystone because of the staff.submitted by Bonnie T. - May 30, 2013 |Recommended: YesLiving at Greystone is the same as living in a neighborhood. The feeling of community has a lot to so with the staff. Especially Jen and Amy. They are always cheerful and ready to help. When I walk into the office, they treat me like family. It is a safe place to live. It's a great place to livesubmitted by Dejuan T. - May 02, 2013 |Recommended: YesIt's nice and convenient to food restaurants, shopping and easy access to major highways and interstates. Great Community! submitted by Wayne S. - May 01, 2013 |Recommended: YesEveryone is considerate of each other, cleans up after themselves, has great front office staff who know their stuff and easy to get along with, and repairs and issues are dealt with same day. Property is well maintained! Love all the little things that are done as well, from contests to drop-ins with free food, etc. Great place to raise kids too. Very close to many things that we need, such as grocery stores, restaurants and shopping in general. Love it so far! It is nice so far.submitted by Branda W. - May 01, 2013 |Recommended: YesIt's a nice place located in a very nice area of Knightdale.